The Claremont Colleges’ After School Specials! 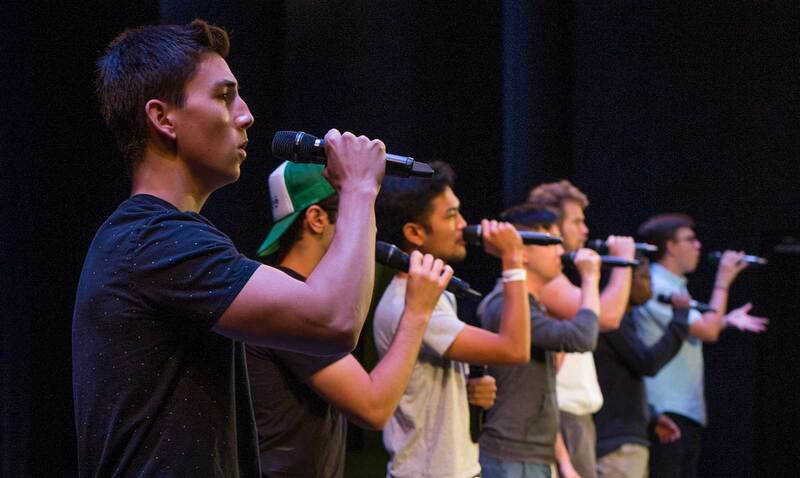 have qualified to compete at the 2018 International Championship of Collegiate A Cappella (ICCA) Finals. Nine colleges, including Berklee College of Music, King’s College, London, the University of Chicago, Temple University, and reigning champions USC will vie for the title at the Beacon Theatre in New York City on April 21. The After School Specials! had advanced to the semifinals in 2014 and 2016. This year, “when we found out we made it [to Finals], all of us were in shock," said the group’s co-president Kai Vogel ’19. “We were in disbelief.” Vogel said he chose to attend CMC in part because of his interest in joining The After School Specials! At the 2018 ICCA West Semifinals in Salem, Ore., Vogel, Perrin York ’19 (SC), and Michael Andy ’21 (PC) won the award for “best choreography,” while Kai Kellerman ’18 received the “best soloist” award for his solo during the group’s rendition of “Jealous” by Labrinth.